Unlike most other flowers, the perennial Lily never truly goes dormant. The strength and beauty of this international flower has cemented it’s place in the cultures of the world. With such an elegant look, it’s no wonder the flower means royalty, rebirth and purity. Explore this potent flower symbol to enrich your own life. Lilies are native all over the world and hold importance in dozens of different cultures. This led to early breeding programs, resulting in the thousands of colors and petal patterns you can find today. All lilies emerge from a humble bulb and they’re one of the few showy flowering plants that can handle indoor life just as well as outdoor growing. Most named varieties of this flower are hybrids which won’t grow true from seed, but old-fashioned and heirloom lilies produce true seed you can share with loved ones and friends to spread the beauty around. There are hundreds of different true lilies, but they all fall under the same Lilium genius. Any flower called lilies that don’t fit in this organizational group, such as the common day lily or water lily are not considered a true Lily. Lilium is a Latin term and was derived from the Greek word leirion, a word that traces back through numerous civilizations as one of the first words for flower. This shows the importance of the Lily flower through the centuries and millenia! Elegant and respectful, white lilies evoke everlasting devotion. 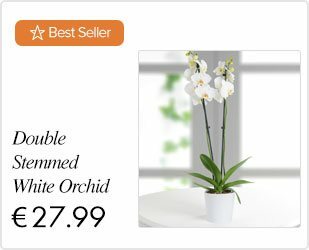 They are a versatile flower and are perfect for a variety of occasions, including weddings, anniversaries and memorial services. Send breathtaking white lilies to express your deepest emotions. White lilies are an obvious symbol of purity, especially since many christian denominations use the snowy Madonna lily to represent the Virgin Mary. The striped pink flower known as the Stargazer Lily is one of the most popular flowers for bouquets today, and it means ambition and encouragement with a difficult challenge. Yellow and gold lilies most commonly symbolize good health and healing, while bright red blooms speaks of passion and work great for weddings and proposal bouquets. When arranging lilies in a vase, work in concentric circles to achieve a symmetricla design. Send lilies today- A lily delivery is a beautiful way to leave a lasting impression. Lilies are sure to express your feelings for that sppecial recipient! Same day delivery available. Lilies are prized for their elegant, vibrant, aromatic blooms. At LolaFlora , our florist delivered arrangements are the perfect gift for the sophisticate in your life or a beautiful way to decorate your own table. Elegant stems of lilies make this selection of bouquets hard to resist. Drenched in fragrance, send lilies for next day flower delivery. Lilies are one of the truly great garden plants for their flower forms, diversity, extended season of bloom, graceful stature and reliable disposition. Their bulbs can be planted in spring for bloom the same year, or in fall for bloom the following year. The sequence of bloom begins in early summer with the colorful Asiatics, Martagon Lilies (also called Turks’s Cap Lilies) and pure white Lilium candidum, and then continues until late summer with other species lilies and three tall fragrant groups: Orientals, Orienpets (hybrids between Orientals and Trumpets) and trumpets. Lily bouquets make beautiful and unique floral gifts for those special occasions! Beautiful lilies and lily bouquets will impress her on valentine’s day or make an elegant statement for your wedding flowers. Whatever the occasion, lilies always delight and dazzle. Send a fresh lily bouquet to someone special today! 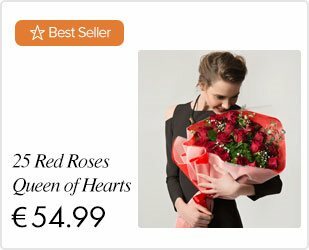 Order your flowers from LolaFlora and surprise your loved ones with beautiful flowers.